THIS GIVEAWAY ENDS TOMORROW — ENTER BEFORE IT’S TOO LATE!! 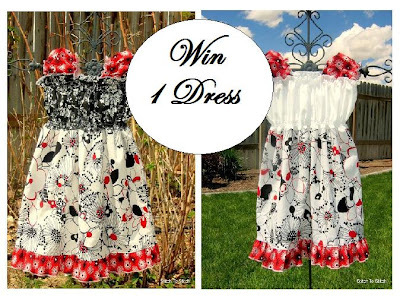 Head over to Whimsy Couture and enter for your chance to win one of the beautiful black/white/red peasant dresses! You can enter up to 11 times to increase your chances. Enter as many times as you can and make sure to tell your friends too!